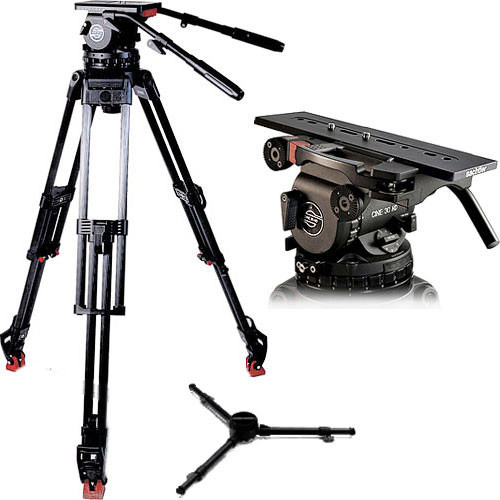 The Sachtler 30 EFP 2 MCF System is a 150mm carbon fiber tripod system designed for EFP and HD Cameras. The Cine 30 HD fluid head features a Snap & Go mechanism for side loading the camera plate. The mechanism allows both the fluid head and the camera set-up to be side loaded. 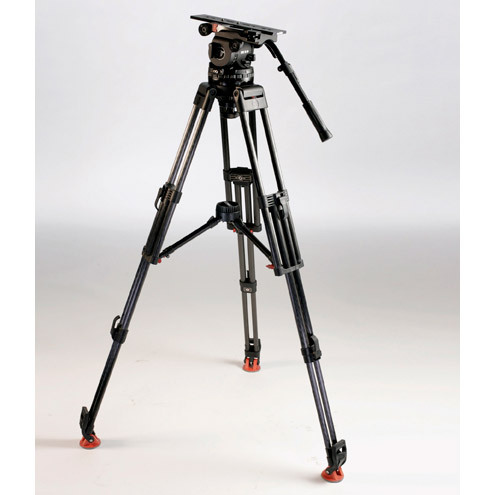 The 6386 EFP 2 one stage tripod is composed of carbon fiber composites that are both lightweight and tough. The carbon fiber composition also provides the benefit of vibration absorption. The featured rapid action clamps provide users with the ability to set up quickly and securely. The convenient Snap&Go side-loading mechanism allows users to get heavy camera packages mounted safely and efficiently. This system provides users the convenience of a rapid set up and the accuracy to repeat the steps in future set ups. Your set up will be secure and fast with these adjustable rapid action clamps. 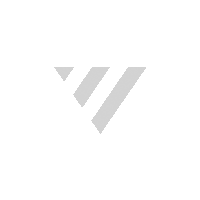 Should a system failure occur, this feature will keep your set up securely locked in place. The Touch Bubble is a contact activated, self-illuminated spirit level, which is powered by three PX625A cells. These vibration absorbing leg tubes are both lightweight and durable.